My Young Living journey started over a year ago when Addie had been in the hospital for about 6 months of her life. Addie was due home on a ventilator and would need nursing care, various therapies, and more, and I wanted to have an ultra-clean home for her and our guests. I was so used to her being in such a clean environment from the hospital and was terrified that she would catch something at home and would end up back in the hospital. One of the big things that made me move towards a toxin-free lifestyle was the time that I went to purchase some germ-killing wipes that the hospital had right before we were told Addie would be coming home. After purchasing the wipes, I felt inclined to read the back of the container, and read that I couldn’t just grab a wipe out of the container, I had to also purchase gloves. After reading the container even more thoroughly, I was floored with the list of chemicals I couldn’t pronounce and all the precautions I had to take when I used them like not being pregnant, wearing gloves, and rinsing the objects I cleaned after I used the wipes. Isn’t that the craziest thing? Who wants to use that around their family?! A sweet reader of mine, Dory, introduced Young Living to me and told me about the benefits of essential oils and how they could not only help me with stressful days, but that I could actually clean my home with them in a toxin-free way that would be safe for Addie and for our guests. I still wasn’t quite convinced until I tried my jar of coconut oil with Lavender and Peace & Calming that Dory sent me. I rubbed it on my chest one might and I had the best night of sleep in months. I did it the next night, and the next, and soon even Mathew was asking to borrow it. 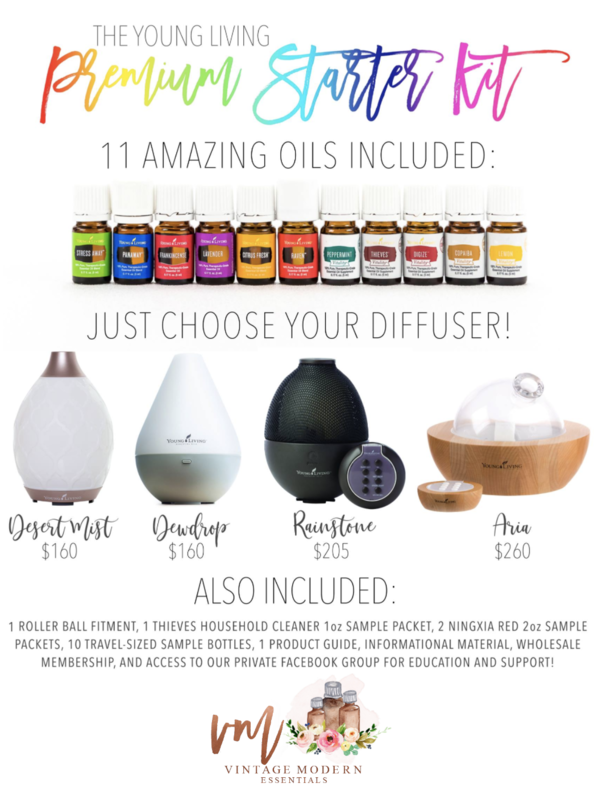 I knew then and there that I needed to grab a Premium Starter Kit of my very own and get a hold of these precious Young Living oils. After I used Young Living for a while I noticed that my FitBit was telling me I was getting better sleep on nights I used Lavender and Stress Away in the diffuser next to my bed. I noticed Addie’s teething pains eased with Copaiba and Thieves. 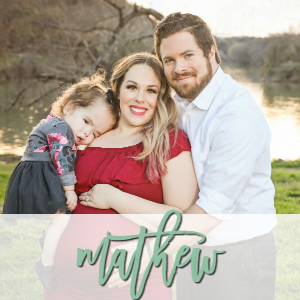 I even noticed Mathew was able to focus more on his work at home by using his “Focus Pocus” blend that I made him using Cedarwood and Vetiver. But the biggest thing I noticed? 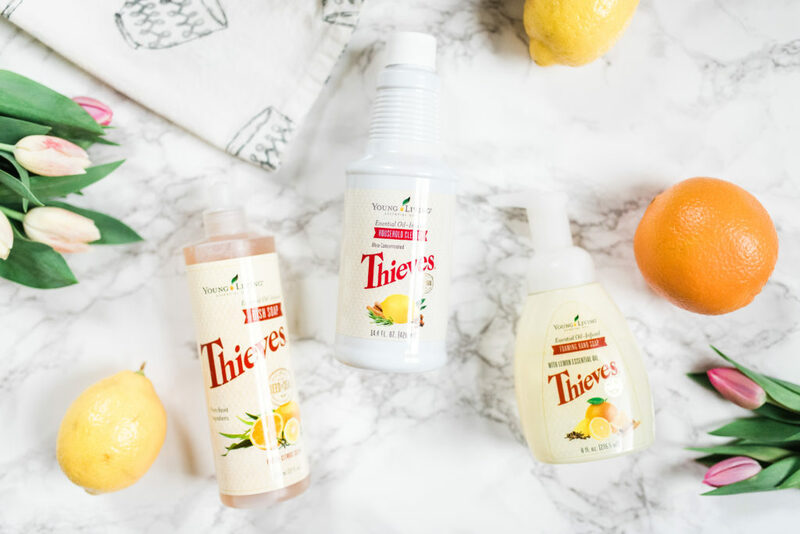 We all managed to stay healthy for the past 2 respiratory seasons- and I credit it all to Thieves essential oil and our Thieves Household cleaner. The more I researched about Young Living, the more I was impressed by their commitment to quality. 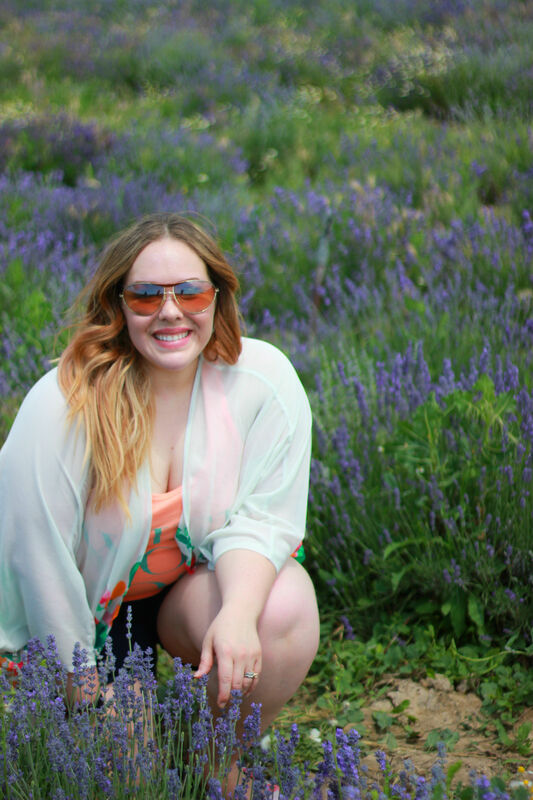 June 2016 I took an amazing opportunity to visit the Mona farm where Young Living grows lavender, Peppermint, and more. 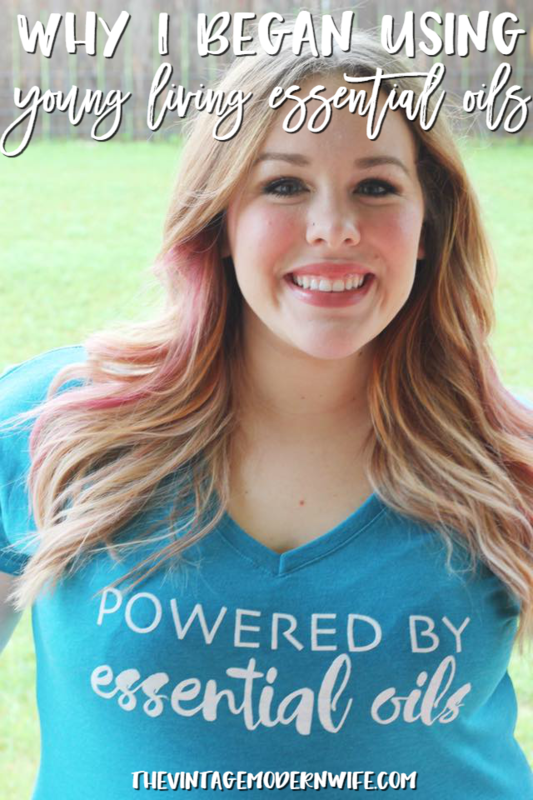 I was in awe of the beauty that the Lord brought to this world and the work that Young Living was doing to uphold that beauty. Their Seed to Seal process was incredible to see firsthand, and I left with some memories I’ll treasure forever. I love knowing that the plants that Young Living uses are non-GMO, the ground has to be free of pesticides and herbicides for at least 50 years before planting, members can assist with the harvesting process, plants are distilled once by steam distillation at the perfect time for the most potent essential oils, and then those plants are tested in house and by a third party for quality. Lastly, the essential oils are bottled and sealed. It’s such a unique process that only Young Living can provide, and I love that I was able to witness it firsthand. 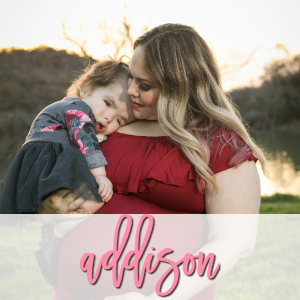 I have a very strong passion for empowering people to take control of their health, wellness, and self-care and that of their family, especially after our 10 month journey in the hospital with Addie. 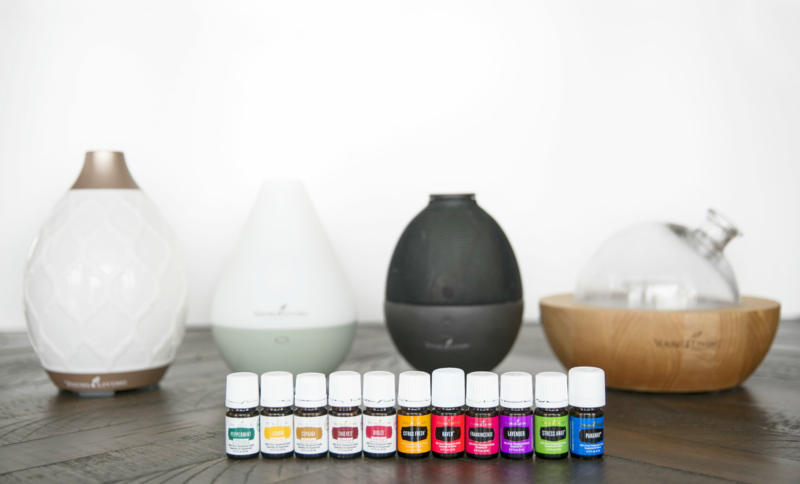 We have the power to choose what goes in our bodies and on our bodies, and I want everyone to know about the life-changing benefits of Young Living essential oils and oil-infused products. I am also very passionate about toxins and educating families on the dangers of household products because as a new mom, I had no idea! Luckily – Young Living encompasses all aspects of healthy living. It is more than only essential oils. The concept of putting good things into our body and getting goodness out… it now seems so simple. You can’t poison the body into wellness. And there’s no sense in treating the body horribly and then dealing with sickness when it inevitably arrives. Instead, we can care for our bodies everyday by fueling them right, and we get to avoid sickness altogether! It’s been such a more peaceful way to live. 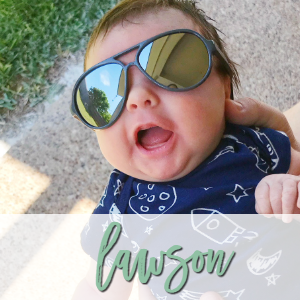 The way we initially got started is the way I’d recommend any family interested in embarking on their wellness journey get started: the Premium Starter Kit. As a wholesale member, you also get 24% off everything, always, which is hugely beneficial when you’re like me and you want to dip your toe into slowly transforming your home little by little. -Get you plugged into our Vintage Modern Essentials oil groups! You can grab your starter kit on our team HERE. 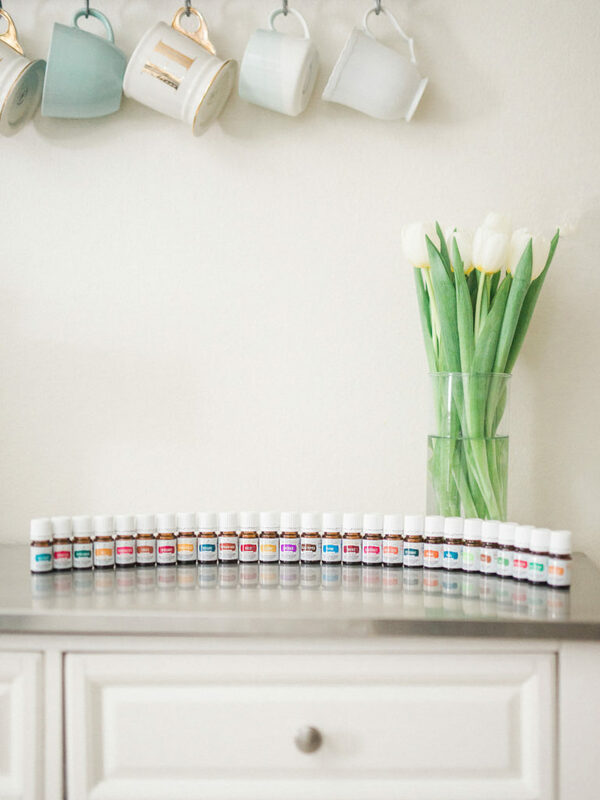 After seeing so many families take charge of their health and turn it around, we’ve become so incredibly passionate about getting these oils into as many homes as possible (and getting the harmful stuff out!) We are so happy to chit chat about Young Living with anyone who wants information.